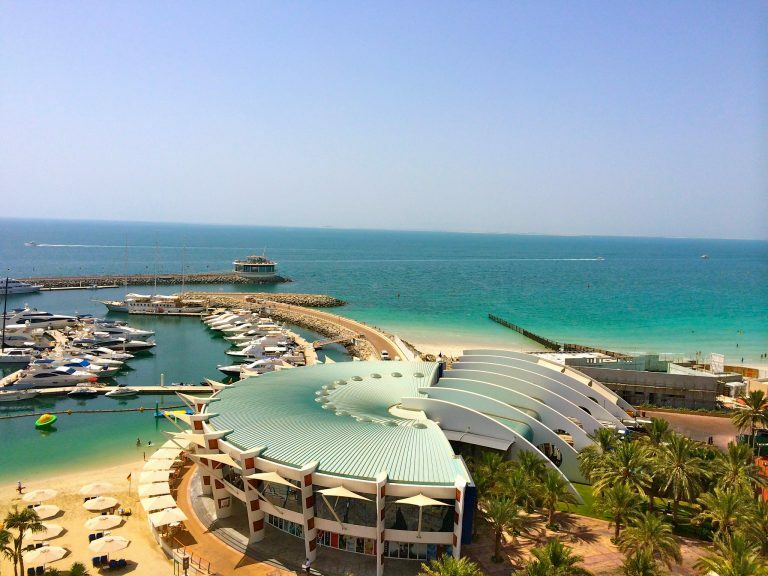 Home » Top Holiday Destinations » Dubai Travel Blog » Top things to do on a Dubai vacation! Top things to do on a Dubai vacation! One of the 7 ‘Emirates’ which make the UAE, Dubai is known for its sophisticated living style. Huge man-made islands, some of the largest shopping malls and tall buildings that scrape the clouds are characteristics of the glamorous city. Dubai is that city that you should visit at least once in a lifetime. When you think that you’re done exploring Dubai, you will find out that you have only barely scratched the surface – because it has THAT much to offer! Read on to know the top things to do on a Dubai vacation, which will make you fall in love with this place all over again! Does planning a vacation give you the jitters? Just click here! 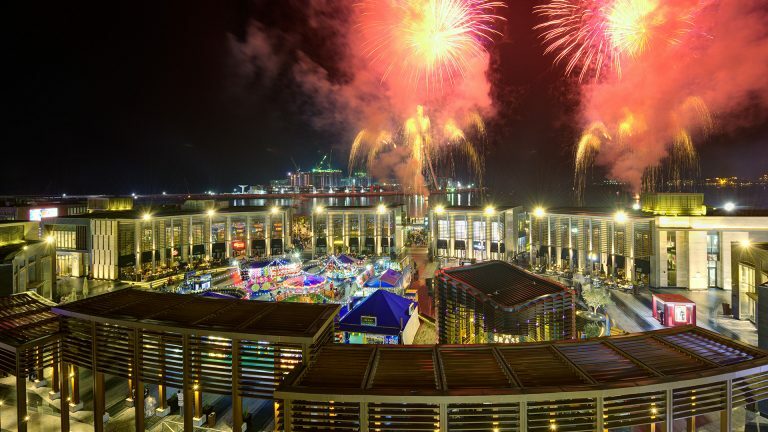 Dubai is definitely the place for some retail therapy, especially being the host of the Dubai Global Village. A sensational shopping centre, it is an annual event that attracts millions of people from around the world. Known as UAE’s biggest shopping extravaganza, It features stalls or ‘pavilions’ where people from different countries showcase their traditional products and culture. They also have equal fun in store for children, with an array of amusement rides like a huge Ferris Wheel and Bumper Cars. The Ice Park is perhaps Dubai’s new ‘cool’ attraction. 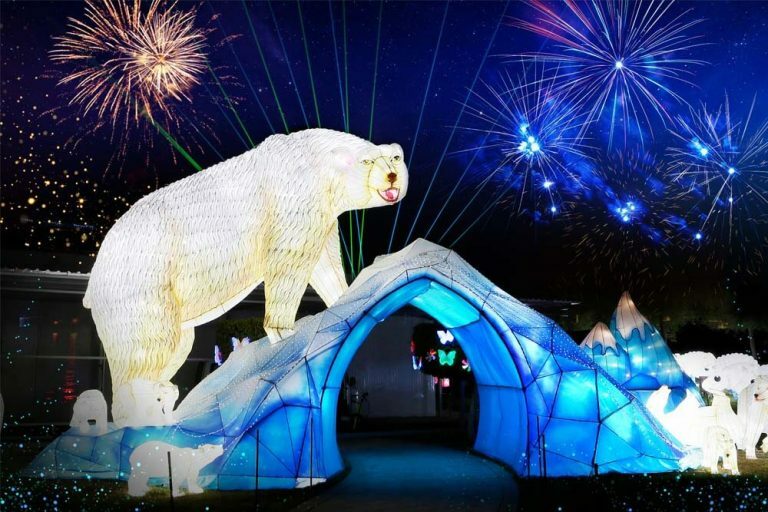 The winter-themed park at the Dubai Garden Glow in Zabeel Park hosts a number of sculptures made of ice, including the Burj Khalifa, the Burj Al Arab, the Sheikh Zayed Grand Mosque, and of course, a few camels too! The park is maintained at a constant temperature of minus 8-degree Celsius, but don’t panic – thermal coats are provided. Wondering where you can ski in a Desert city like Dubai? 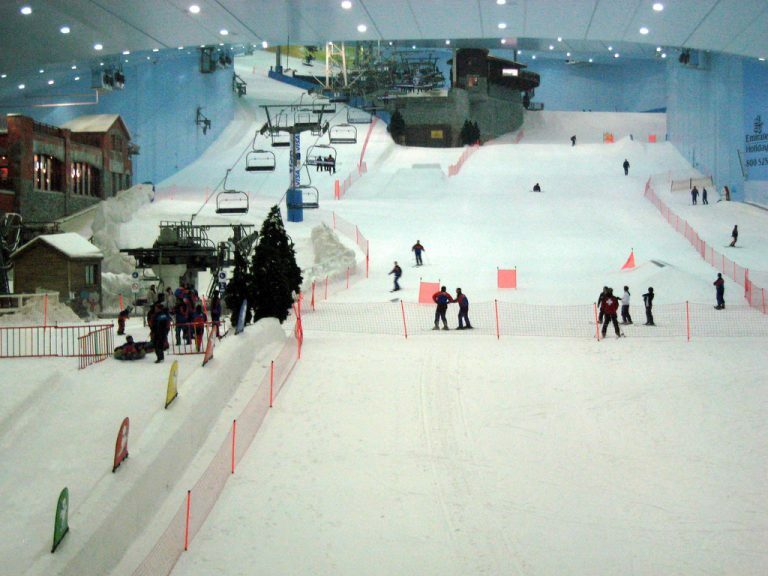 Instantly transport yourself from the scorching heat to freezing winter in the world’s largest indoor ski resort in the Mall of Emirates, the Ski Dubai. It has slopes of varying difficulties for skiers, and also a whopping 3000-sq.ft snow park for children! Another interesting inclusion is that there are actually penguins living there, with several activities to interact with the beautiful birds. Also, after you’re done skiing, do not forget to stop by Avalanche Cafe within the resort to take a sip of their world-famous hot chocolate! Love shopping? Here’s another one for you. 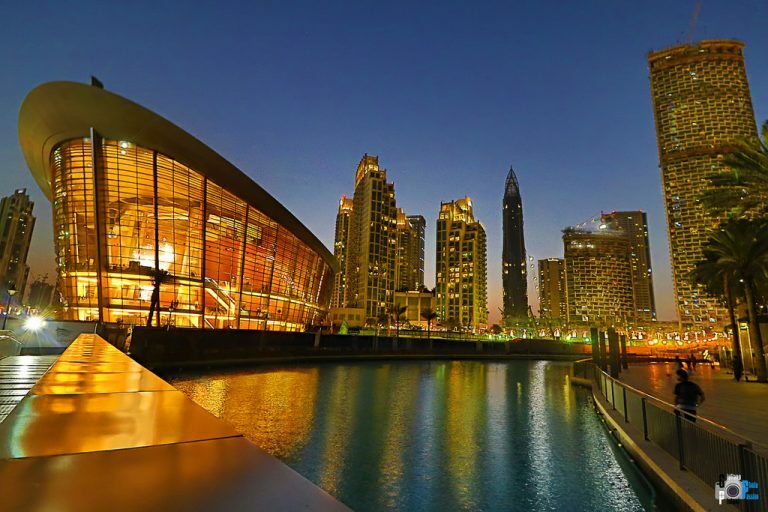 The Dubai Opera has recently begun a series of tours whereby the visitors can gape in awe at the iconic place. The opera now undertakes daily tours for tourists in both Arabic and English, where they explain about the building’s unique design and how it was created. Stand at the topmost stand to witness the beautiful opera in all its glory. Also, don’t miss out the breathtaking VIP suite, it’s a must-see! 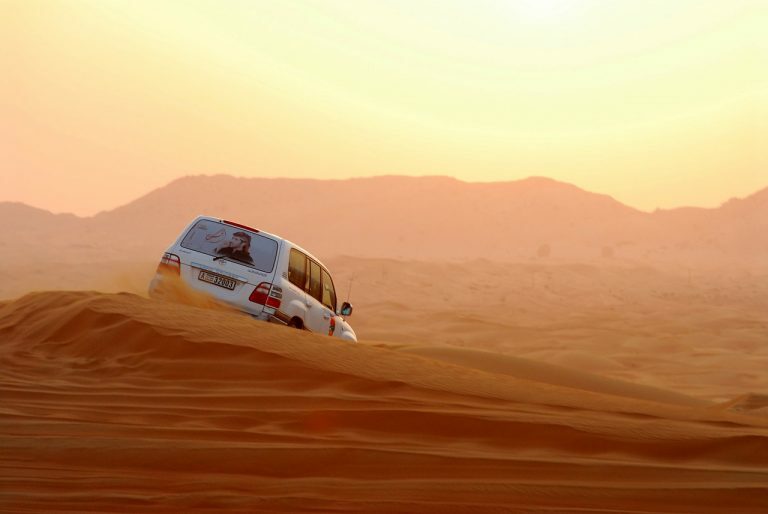 It would be a blunder if you ever leave Dubai without going for a Desert Safari. Apart from the malls and the sky-high buildings, the desert is the place which captures the real essence of the Emirate. Hop on a camel for a ride around the desert, or take an SUV or a Quad to go on an exciting, dune bashing ride! Also, don’t forget to experience Bedouin culture at its finest, with an array of traditional food and cultural dance performances! Talking of Safari’s, our traveller Sudha Arjun, went on this fascinating African trip. Have a look! None can deny that Dubai is a city that likes to break world records. 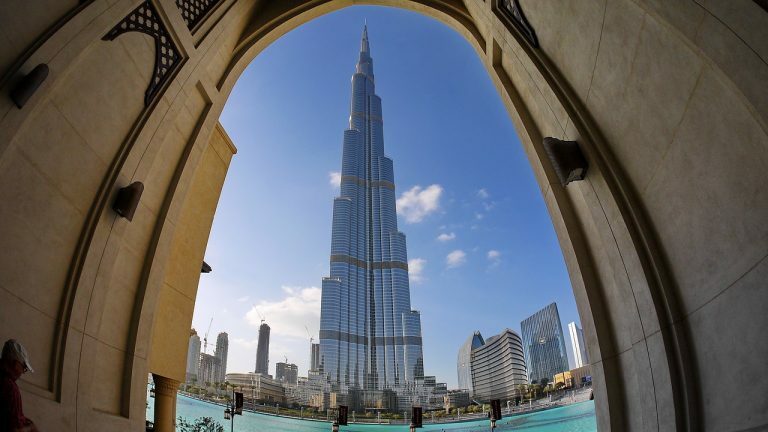 So while visiting it, make sure that you visit one of it’s most successful records, the Burj Khalifa! It could be considered Dubai’s most famous landmark and is certainly a must-visit during your Dubai vacation. Standing tall amongst other skyscrapers in the city, the Burj Khalifa is the world’s tallest building with a whopping 160 floors. A Dubai vacation isn’t complete without a visit to ‘At The Top’, the tower’s exclusive viewpoint. Starting from the 125th floor, the visitors can avail a full view of the city from the world’s highest outdoor observatory! A trip to Dubai isn’t complete without visiting the Gold and Spices market at Deira. Deira is perhaps the oldest commercial hub of Dubai, featuring streets filled with small stalls that take you back to the early years of the city before it decided to go mega. 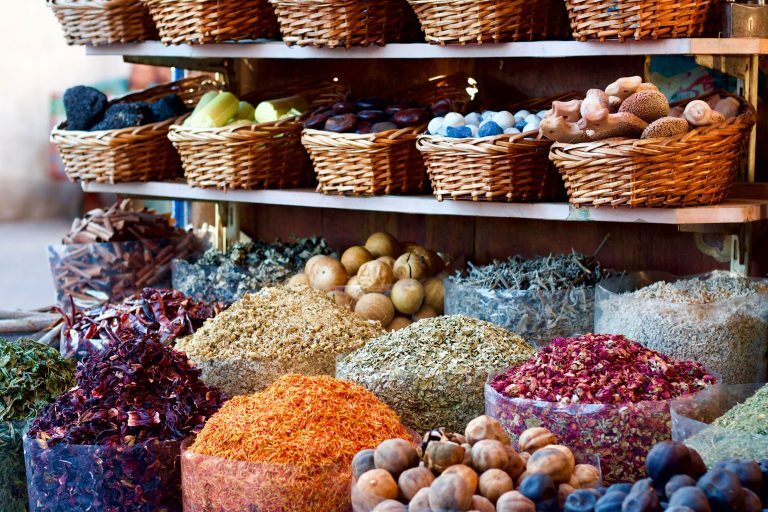 The air at the Spice Souk is filled with the strong aroma of spices – cardamom, saffron and hoards of other unidentifiable exotic spices; mostly from India, Pakistan or Iran. Also, the phrase ‘All that glitters is not gold’ might prove to be wrong whilst you’re here – as the plethora of gaudy gold jewellery at the Gold Souk might end up as a danger to your wallet! The Jumeirah Beach has completely been transformed into an alluring beachfront destination, La Mer. Now, the first of its three developmental phases have opened to the public, and it is amazing. The seventh destination of its kind to open in Dubai, it has been built with extraordinary attention to detail. A waterpark and a headland area, named ‘The Wharf’ is under construction and nearing completion. Choose from a wide range of shops, cafes and stalls as you take a stroll along the beachside. Enjoy the warmth of the shallow waters, or rest in water hammocks and savour a dip in the sea. Also read: 8 beaches in Bali that no one ever told you about! Excited already? Plan your trip to Dubai with us! Click here. Have anything exciting you’ve heard of in Dubai? Let us know in the comments below!